Just prior to the financial crisis, many homebuyers were given mortgages that they could not afford to pay back. In response, the Dodd-Frank Wall Street Reform and Consumer Protection Act (Dodd-Frank Act) was created, which requires lenders to make a reasonable and good faith assessment of borrowers' ability to repay. Last week, the Consumer Financial Protection Bureau (CFPB) announced that it is seeking public comment on new data and information that it has received with the ability to repay rule. The comment period will close on July 9, 2012. "Through our ability-to-repay rule, we want to ensure that consumers are not set up to fail with mortgages they cannot afford and we want to protect access to affordable credit," said CFPB Director Richard Cordray in a company press release. "We are committed to gathering solid data to inform this important rule. This notice gives the public an opportunity to comment on the information we have received so far, as well as an opportunity to submit additional data." The notice to reopen the comment period shows that the CFPB received data from the Federal Housing Finance Agency (FHFA) tracking the performance of loans purchased or guaranteed by Fannie Mae and Freddie Mac from 1997 to 2011. The new data could be used to analyze the ability to repay with consumers' ratios of debt to income, or what some have pushed for, a debt-to-income threshold when defining "qualified mortgages." 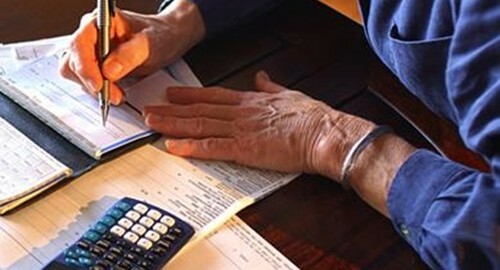 Even with the housing economy in a slow recovery, and rulings in place to help in determining repayment plans, lenders could greatly benefit from mortgage loan software, as well as an amortization calculator to ensure that no client falls through the cracks and that all loans are repaid.